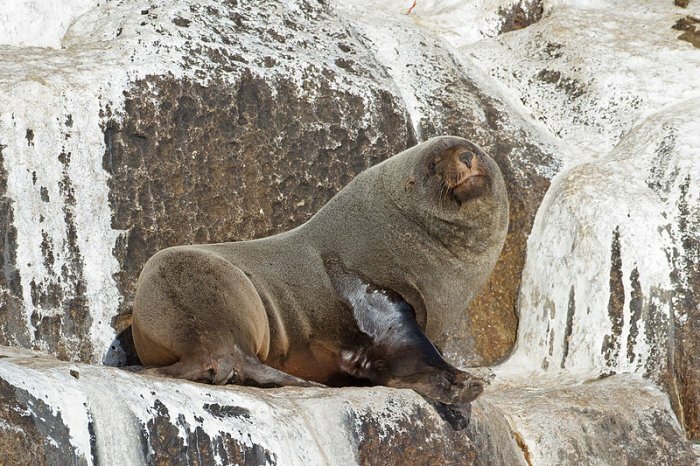 Our Beautiful World: Pinnipedia, Fur seals, sea lions, true seals and walrus. semiaquatic marine mammals comprising the families Odobenidae (the walrus), Otariidae (eared seals, including sea lions and fur seals), and Phocidae (earless seals). full-grown and is 1.3 m long; the largest, the male southern elephant seal, is over 4 metres long and weighs up to 4,000 kilos. 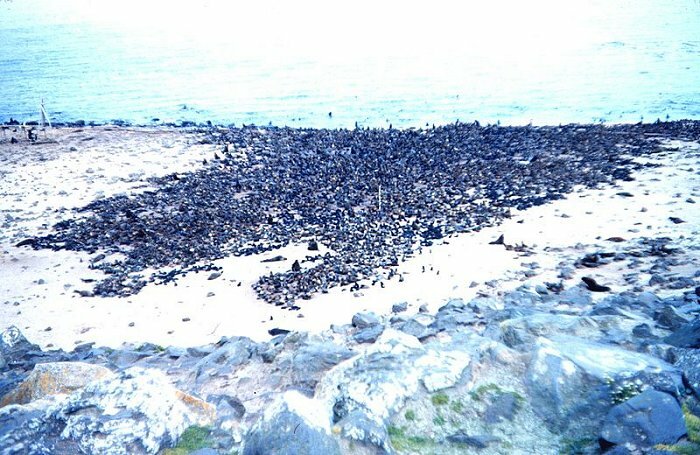 For most pinniped species, molting is an annual process of replacing worn fur (and in some cases, skin) that temporarily grounds them. Molting can compromise thermoregulation, so some species, such as elephant seals, fast and remain onshore for a month or more. life at sea. Until this age, pups risk hypothermia and drowning if they spend too much time in the ocean. receive normal blood flow. They are able to resist more pain and fatigue caused by lactic acid accumulation than other mammals. However, once they return to the surface, they need time to recover and normalize their body chemistry. at a time while slowing drifting downward belly up. 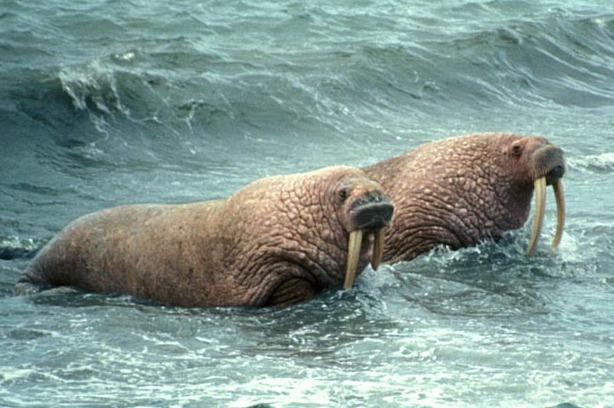 Laptev Walrus, Odobenus rosmarus laptevi - Laptev Sea. the North Pacific, while seven species in the Arctocephalus genus are found primarily in the Southern Hemisphere. They are marked by their dense underfur, which made them a long-time object of commercial hunting. females, making them among the most sexually dimorphic of all mammal groups. penguins, as part of their diets. 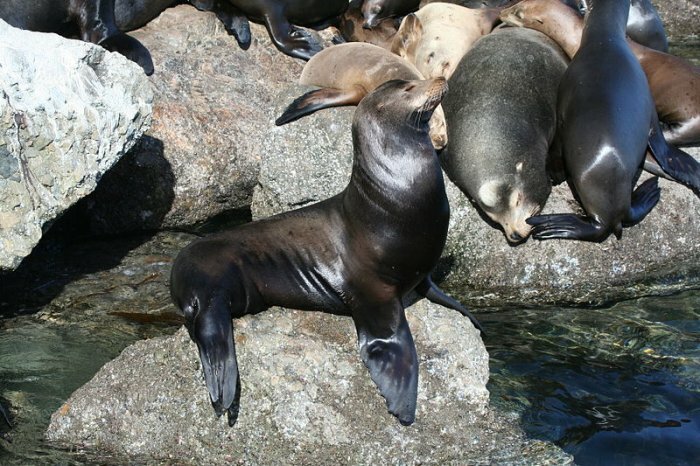 The fur seals themselves are preyed upon by sharks, orcas and occasionally by larger sea lions. can be considered healthy, mostly because they often prefer remote habitats that are relatively inaccessible to humans. Nonetheless, environmental degradation, competition with fisheries and climate change potentially pose threats to some populations. weighs on an average about 300 kg and is about 2,40m long, while the female sea lion weighs 100 kg and is 1,50m long. food at a time and are known to eat about 5-8% of their body weight (about 7 to 18 kilos) at a single feeding. exception of the more tropical monk seals. in the southern elephant seal. able to divert blood flow to this layer to help control their temperatures. them under their body to walk on them. turn their hind flippers downward, they are very clumsy on land, having to wriggle with their front flippers and abdominal muscles. helping to maintain a constant pressure. sub-Arctic seas of the Northern Hemisphere. 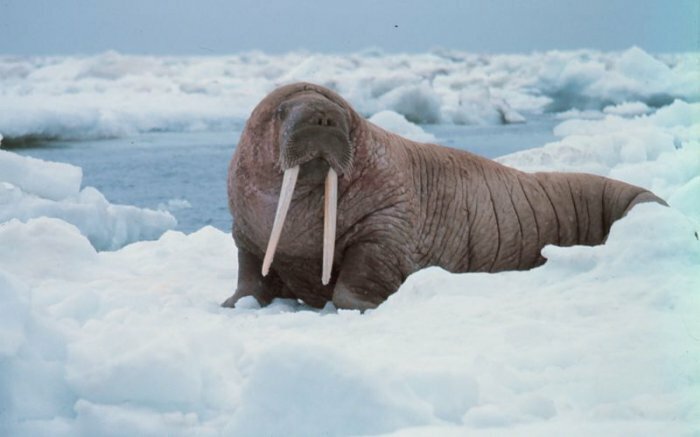 The walrus is the only living species in the Odobenidae family and Odobenus genus. social animal and is considered a keystone species in Arctic marine ecosystems. fragmented and at historically depressed levels. and the Pacific female averaging 800 kg. 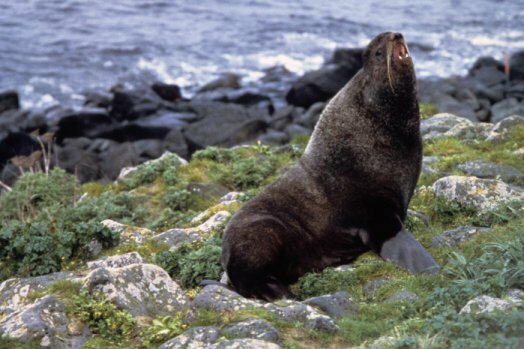 Length ranges from 2.2 to 3.6 m. It is the second largest pinniped, after the elephant seals. flippers and more on sinuous whole body movements. Also like phocids, it lacks external ears. in February. Males aggregate in the water around ice-bound groups of estrous females and engage in competitive vocal displays. The females join them and copulate in the water.